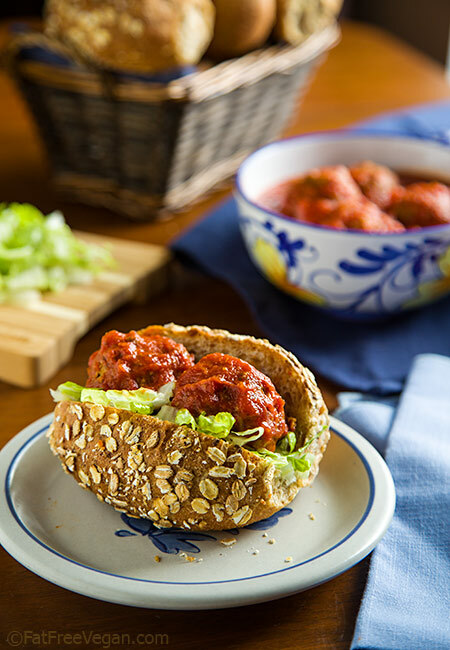 I’ve been obsessed the last couple of weeks with coming up with a gluten-free, vegan meatball mix that I could keep on-hand to make quick “meatballs” for spaghetti and sandwiches. I don’t know what got me started on this quixotic mission, but the result is that I’ve made so many balls in the last few days that I’m sick of them, though still strangely obsessed. Last night, as I was eating the latest batch atop shirataki noodles, I had the passing thought, “What if I just broke down and made a batch with gluten?” and my mouth blurted out, “Absolutely not!” My family eyed me warily and moved their knives out of my reach. So this is it, my final version. It uses walnuts, kasha, and oatmeal to give the balls some texture and chickpea flour to hold it all together. It’s a completely dry mix, so you can make it in big batches and store it in the fridge until you’re ready to mix it with water. Honestly, the texture is more like falafel (with an Italian flavor) than a meat substitute, but we still enjoyed them in meatball subs and on pasta (hubby and daughter) and on spaghetti squash and tofu shirataki noodles (wheat-avoiding me). Feel free to experiment with different seasonings, but if you become obsessed, don’t say I didn’t warn you. Speaking of obsessions, I’ve been toying around with Google+ and a new app from Twitter called Vine. Check out the 6-second video of the meatball-making process that I created on Vine and then uploaded to Google+. And feel free to follow me at both (I’m SusanV on Vine). These balls are similar to falafel in texture, and because they are bean and grain based, they will fall apart if submerged in sauce for too long. So it’s best to add them to your sauce briefly after it’s hot or pour the sauce over them. Put the nuts and oats (or quinoa flakes) into a food processor and pulse several times to coarsely chop the nuts. Do not grind to a flour–they should be about the size of popcorn kernels. Pour into a bowl or storage bag. Add all remaining ingredients and mix well. Keep prepared mix in the refrigerator until ready to use. To make the entire batch of mix, pour it into a bowl and add 2/3 cup boiling water. Stir and let stand for 15 minutes as you preheat oven to 350 F.
Using wet hands, form the mixture into about 12 1-inch balls. Place on a silicone mat or oiled baking sheet. Bake for 20-25 minutes, turning once halfway through. Cover with hot spaghetti sauce and serve. To make 1/2 a batch, measure out 3/4 of a cup of the mixture and add 1/3 cup boiling water. Proceed as above. To keep these gluten-free, be sure to use gluten-free oats or quinoa flakes. Not all people following a gluten-free diet can tolerate oats, so ask first. 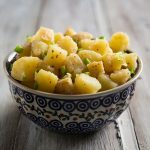 Variations: The fennel and red pepper flakes add a sausage flavor and spiciness, but you can leave them out for a milder taste. Tomato powder adds color and flavor but can be omitted; instead, try using tomato sauce instead of some of the water to hydrate the mix. If you’re avoiding nuts and seeds, you can leave them out and add an extra 1/3 cup of oats. This post contains Amazon affiliate links to products I use. When you buy something through these links, I receive a commission that helps support this site. Thanks for your purchase! Thank you so much for this recipe! I have been plant based vegan for a while but just started being gluten free so this is really helpful.. This looks great whether its meatball or falafel like. I have followed your blog for awhile but never left a comment. I am long overdue in saying thanks for putting out great recipes in an interesting and thoughtful format. You are truly gifted at what you do. Oh my goodness, Susan, these are an answer to a prayer!! Last night I made your beefless stew, using chickpeas. It came out fine, but I started wondering what I could use to replace the seitan or the tempeh or TVP. These would work great if made and then added to a warm bowl of stew, I think. AND. . .I just love how you can make up a batch of mix and have it in the fridge for when you want it. And that a half batch can be made as well as a whole. I really look forward to trying these out when all the elements come together!! THANK YOU!! Sorry to hear you are having to avoid wheat, but lucky for those of us who already have to that you are–a silver lining, maybe? Or an opportunity in disguise? Something like that. Oh my goodness, that was great! You made me laugh with your blurting out comment and the family moving the knives. Very funny! This is a GREAT idea. Can’t wait to try it! This looks great and can’t wait to try it. Like Sharon I’ve been a plant based vegan for sometime but only GF recently. Doing one is hard enough but the added element is a challenge! ps: by the way, that little “Vine” video is really cool!! Thanks! I’m looking forward to doing more of them–and learning how to do them better! I’ve been looking for this exact type of recipe. Thank you for creating it! I would like to try it over Quinoa pasta for dinner tonight. In fact, I think I will! Susan- why are you avoiding wheat. Just curious. Emily, I’m trying to lose weight and I find that wheat flour causes me to have cravings. Cutting it and sugar out of my diet have made a huge difference. No cravings and I feel great! Thanks for sharing this – it looks fantastic! My husband is Italian and grew up eating meatballs, so I’m anxious to find a vegan recipe that we can both enjoy. I look forward to trying this! Love this idea! Will try this with my family tomorrow. What kind of bread is that up there? I absolutely love all you recipes! I’m sure it could be adapted, but why not try one of my recipes for chocolate cake? My favorite is this Chocolate-Orange Cake. Thanks for this! I have been wanting to find more “meaty” substitutes for myself and my picky husband. You do really awesome work, thanks for sharing with us out in the internets! I too have been toying around with a meatball recipe, but it has to not fall apart in hot broth, because I want it for Albondiga soup. I love what I finally came up w ith, using whole grain rice, black beans, amaranth ……. I will try yours and see if they pass the hot broth test!! HA HA! This sounds like a great meatball IMHO! I love just the sound of the fennel and red pepper flakes in it. 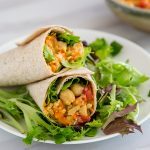 I don’t usually do too many vegan recipes but I do love to eat healthy and this recipe just sounds (and looks) delicious. My niece has celiac disease (and is a vegan in the making) so I will definitely pass this on to her to try. Like the video too by the way. Great site. Wonderfully inventive recipes. Unfortunately, there is a great deal of evidence that because nutritional yeast is an excitotoxin that it damages brain cells. It is a glutamate exactly like MSG. It is disguised under many names – yeast extract, hydrolyzed yeast, vegetable protein, nutritional yeast, Bragg’s liquid aminos, etc. For anyone interested, you can look up Dr. Russell Blaylock and his groundbreaking research and dissemination of information that is widely known but not widely made available. Up to everyone to decide for themselves and to seek out information as they choose. Thanks Susan for your recipes and the forum to share! We’ll just have to agree to disagree. I side with traditional science on the subject of nutritional yeast. Gluten is tricky. It requires a different amount of liquid and no leavening, so I wouldn’t try substituting it without making several other changes. I decided to try it with gluten flour anyway lol. I left out the baking soda and used arrowroot instead of cornstarch. Kneaded it for a min or two after mixing with the boiling water and then baked as usual. They came out great except that the flavor of kasha was really strong so I’d leave that out next time and just use more oats or walnuts. (Or maybe beets!) I liked that this was so incredibly easy! just found this site i am excited we serve around 60- campers here in summer . i needed recipe i can use for vegan,vegetarian,gluten free so i can just make 1-item instead of 3.thank you! If you look just above the recipe to the right, you should see the “Print Recipe” link. I’ve been dying to make Albondigas using a recipe I got from a dear friend but didn’t know what to use for the meat balls! You have saved the day, thanks! She puts chopped mint in her’s and it’s lovely. Thought you might be interested in that tidbit. I will take your advise and not let them soak in the liquid but add them just before serving. Thanks Susan! I was wondering if this can be used for hamburger patties? You’ll have to cook them longer, but it may work. I wouldn’t make them too thick, though. I made these earlier this week – we really enjoyed them! My omni-husband thought they were dense but ate them all up and my little girls ate one each too (they’re 2 and 5). I didn’t have Kasha so I used buckwheat flour…I’ll be making these more often:> Thanks Susan! Where do you buy kasha (aside from the Amazon link)? I’ve never seen it before. I get it at the regular grocery store, I think near the rice. We’re on holiday at the moment in a self catering cottage in Wales and I packed your meatball mix in a ziplock bag. All I have to do is add boiling water and we’ve got meatballs to go with the pasta and red sauce! perfect for travel! 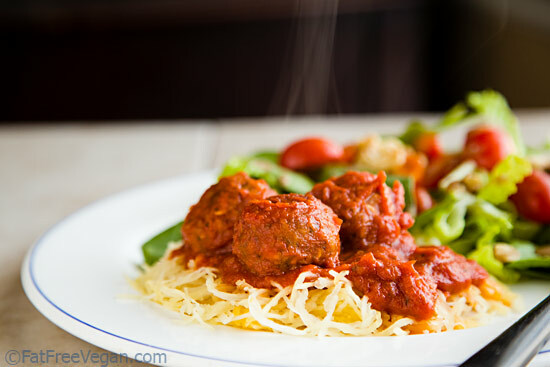 Don’t know why but I am craving meatballs suba, so I am going to make these today. 2 questions for you. I don’t have kasha or bulgar on hand, any idea on what to substitute or use extra of? Also, what did you use as sauce for your subs? Thanks Susan. I am looking forward to making yet another of your great recipes! I’d be interested in the recipe for the whole grain / whole wheat looking- gluten free roll the ‘meatballs’ are in. Care to share? Thank you. These are the best little things! 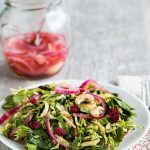 This week, I was in and out of airports and whipped them up for the express purpose of popping in my mouth when I needed a little snack on a flight, or to accompany an airport salad. Did the trick wonderfully. And no sauce required to be yummy. I’m sorry, Michele. I developed the recipe because I don’t know of an actual mix that you can buy. Perhaps one of my readers will chime in. Do you find that with the oats or quinoa flakes that one works better? What have you found to be the difference? Thank you so much for this recipe! This is one of the very few vegan dishes that my family has really enjoyed. I didn’t say anything about it being vegan, I just served the “meatballs” with spaghetti and marinara sauce. It was gone in minutes. This is really good. Hi there…I LOVE THIS SITE! Passing it on to my health conscience friends! Hi! I don’t have chickpea flour, but do have almond flour. Do you think that will work? I know it will add some fat, but do you think it will work texture-wise? Thanks! I’ve never worked with almond flour, so I’m afraid I just don’t know. My fear would be that it wouldn’t be sticky enough to hold them together. I would love to try these.. But it is hard to find kasha overhere (or too expensive for my buget) Is it possible to use buckwheat groats instead? Or is there something else I can subsistute it with? I’m sure Susan will answer but I just saw your question and wanted to chime in. Kasha, to the best of my understanding, is simply pre-toasted buckwheat groats. The raw buckwheat groats are simply called “buckwheat groats.” So it would be fine to use those. That’s what I use when I’ve made these delicious meatballs! Hello! New to your site can’t wait to try your recipes. My family and I have recently decided to do about half our meals meatless and see how it goes from their. 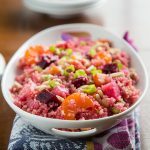 This recipe looks delicious but would like to know what I could use instead of the Kasha and Bulgur Wheat. I am allergic to both Buckwheat and Wheat and my daughter is sensitive to gluten as well. What could I use as a substitute? Thanks Again! I think any small grain, such as quinoa or millet, should do. Congratulations on your decision to cut down on meat! Hi, I just made these “meatballs” last night and both of us thought they were quite tasty! We had them with spaghetti and sauce, but I could tell that they would be good in a meatball sub as well. We are not GF, but I was looking for a recipe that used less processed ingredients. This will definitely become a regular recipe in our house – thanks!! Any idea if these could be used in the crockpot for appetizers? Would they hold up? thanks! What a fantastic idea! What would be a substitute for kasha? The only item I don’t have. A chunky grain like bulgar whete or steel-cut oats should work. My only fear is that steel-cut oats might not cook as quickly as kasha. I’m so glad you had your meatballs mix obsession! Although not a newly posted recipe, I just found it about a week ago, made the mix within two or three days and the meatballs in an additional two or three days. In between I had the mix in a jar labelled “meatballs” in the fridge. It looked funny that way, but I didn’t want it to get confused with some other cereal grains I had in there. I ground up some buckwheat groats a little finer and had everything else except tomato powder. I’ll order some of that from Amazon because it seems like a useful item to have on hand. Everything about your recipe worked just fine and the balls were very good. What a great idea to be able to have on hand for a quick meal. Thank you so much. Thank you for your detailed review. I’m so happy you liked them!